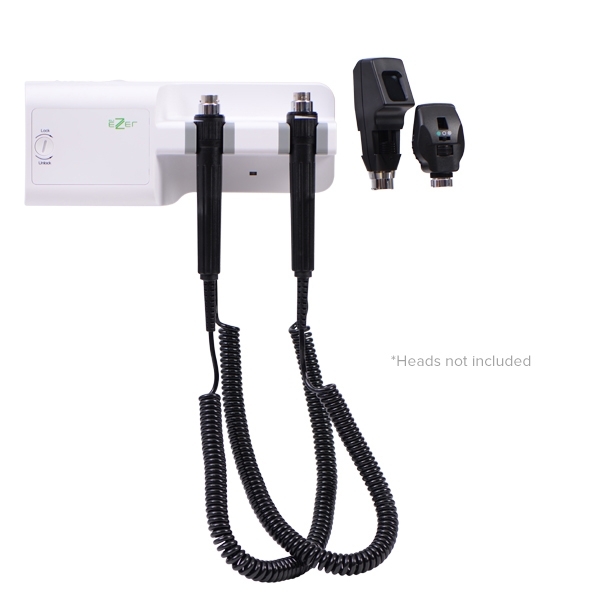 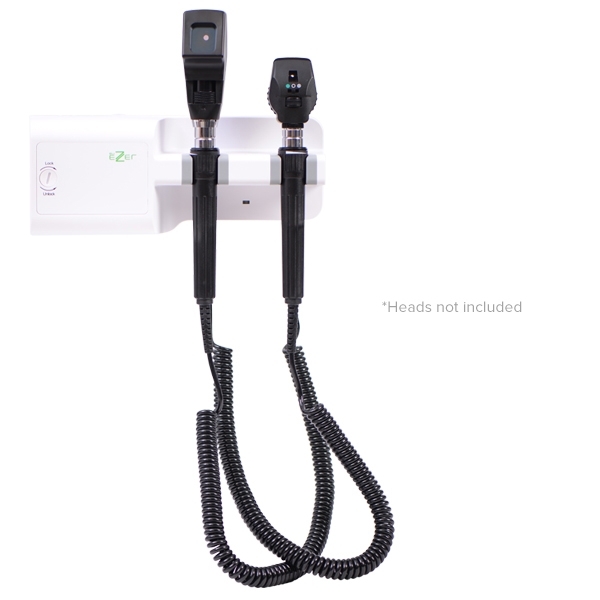 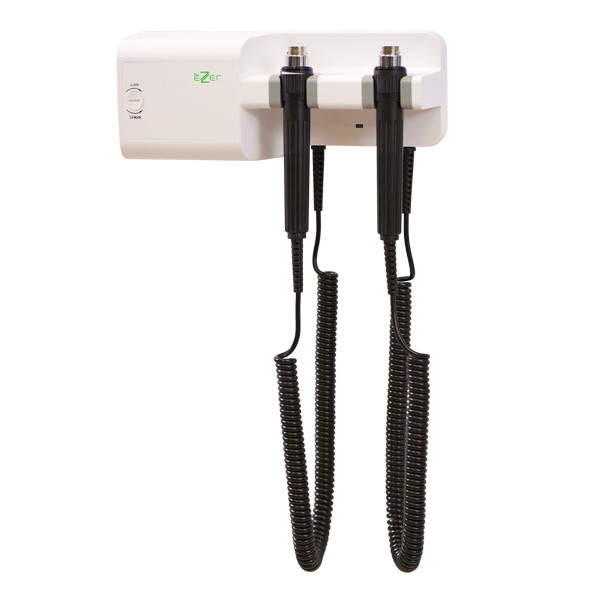 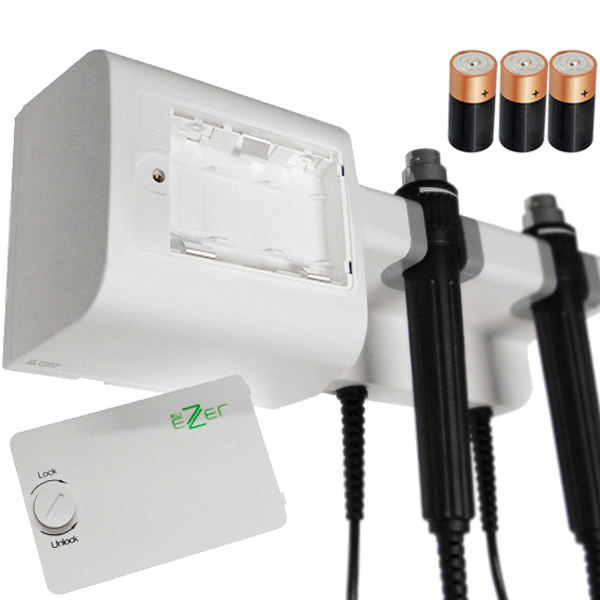 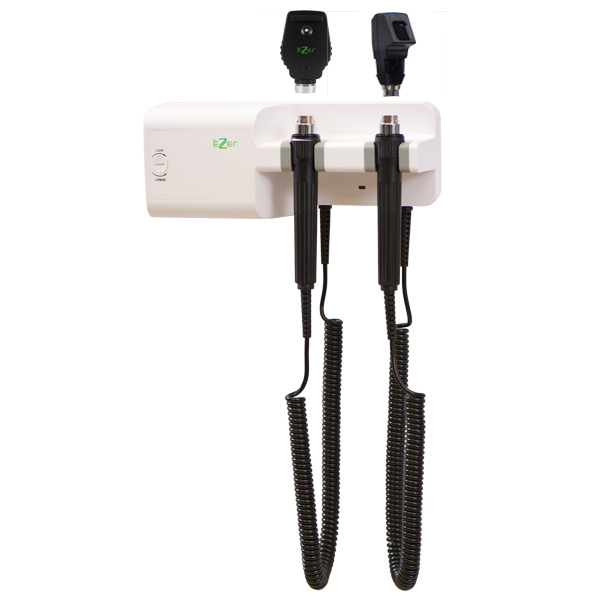 The Ezer EZ-WTC-5200 DC Diagnostic Wall Unit Transformer C battery and AC Power provides safe, reliable power for all of your most important diagnostic tools, including ophthalmoscope, retinoscope, and otoscope units! 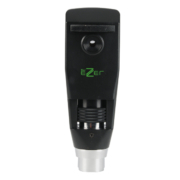 The Ezer EZ-WTC-5200 provides a safe method of delivering high-quality power to your most important diagnostic tools. 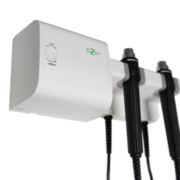 The unit mounts conveniently to a wall, with a lengthy power cord that can stretch to just about anywhere in your office, attaching to a standard power outlet. 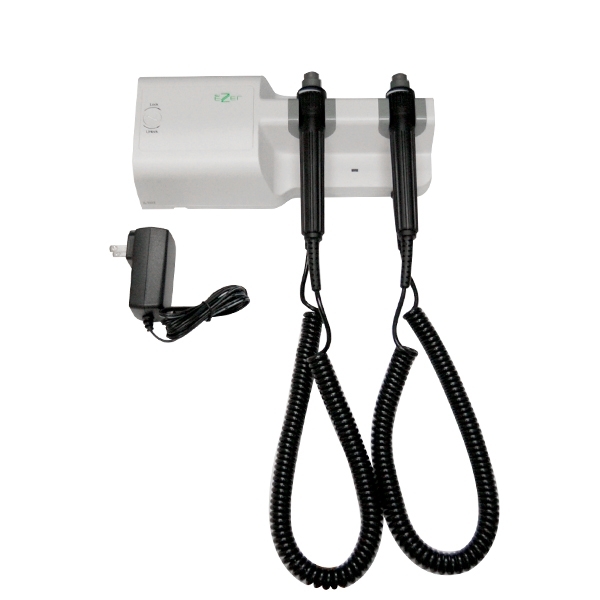 The transformer unit converts the AC power from the wall unit into reliable, clean DC power, with which you can power your most delicate medical instruments. 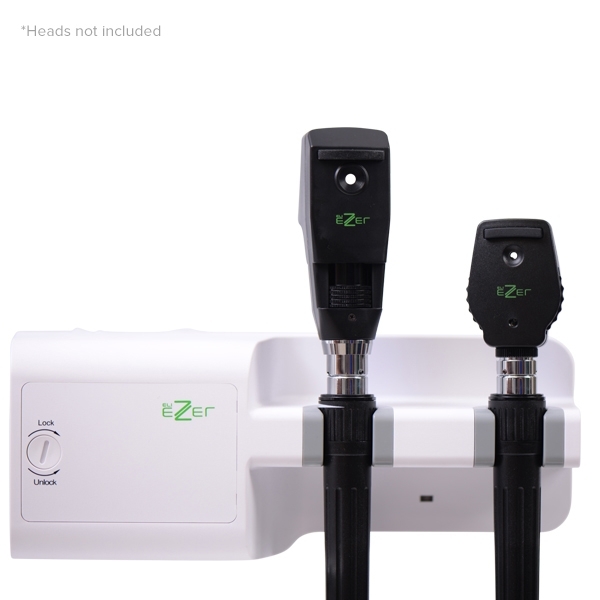 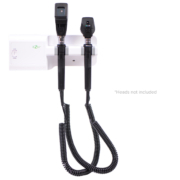 Included are two handles with built-in output ports, which can be used to attach other Ezer diagnostic equipment, or any compatible medical devices. 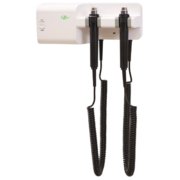 Each handle has been crafted with a specially designed, curled power cord that provides maximum stretch and flexibility, allowing you to reach every corner of the room with your equipment. 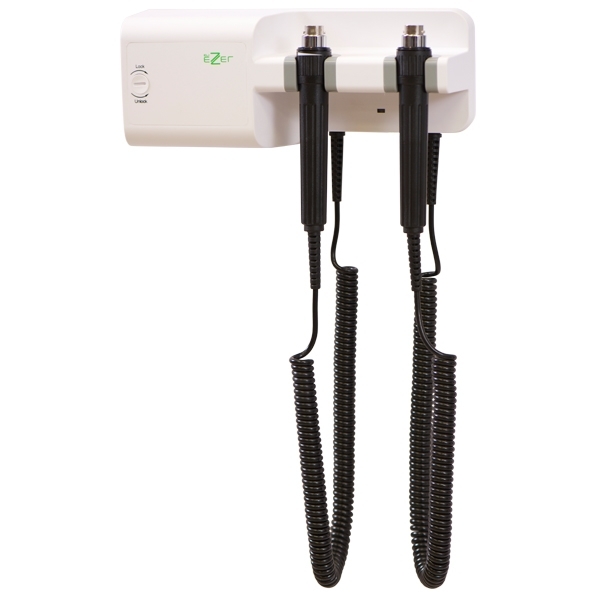 ▪ or be mounted in standard wheeled medical stands for great flexibility and convenience. 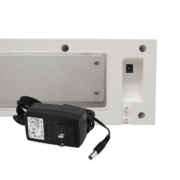 The unit has auto shut on/off sensors on both handles that automatically turn on and off the bulbs when the handles are removed or put back on the unit. 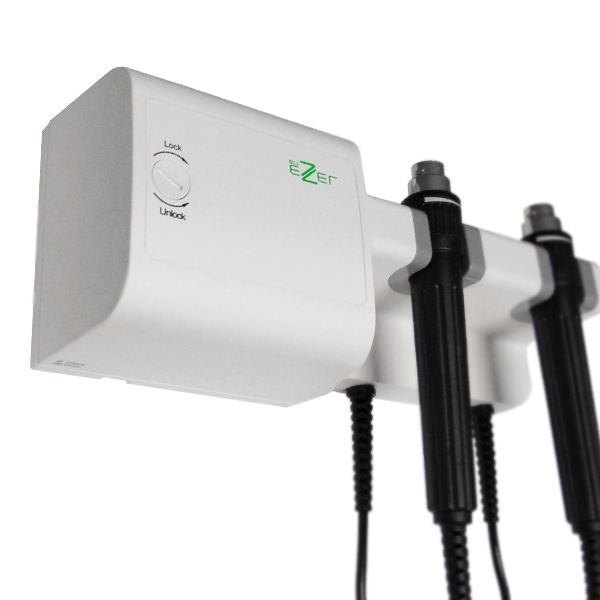 This results in great convenience for the practitioner, energy savings, and increased bulb lifetimes. 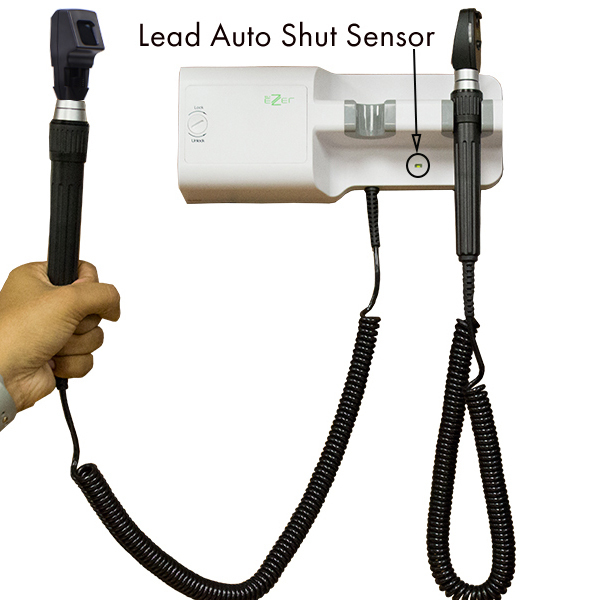 It also helps reducing cross-contamination with no on/off switch contact. 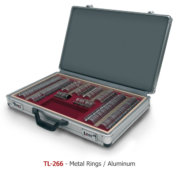 So don’t wait! 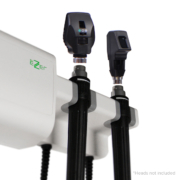 The flexibility, power, and reliability of this Ezer EZ-WTC-5200 DC Diagnostic Wall Unit Transformer C battery and AC Power make it a perfect choice for your office or practice!